Lemax Christmas Shopping With Mom & Dad Figurines set depicts a family shopping outing at Christmas time with pram full of gifts leaving Dad to carry the youngest. Christmas Shopping With Mom and Dad figurine piece is suited for placement in and amongst a Lemax village street scene miniature display. A Lemax Caddington Village themed figurine set which joined the Lemax collection in 2013. 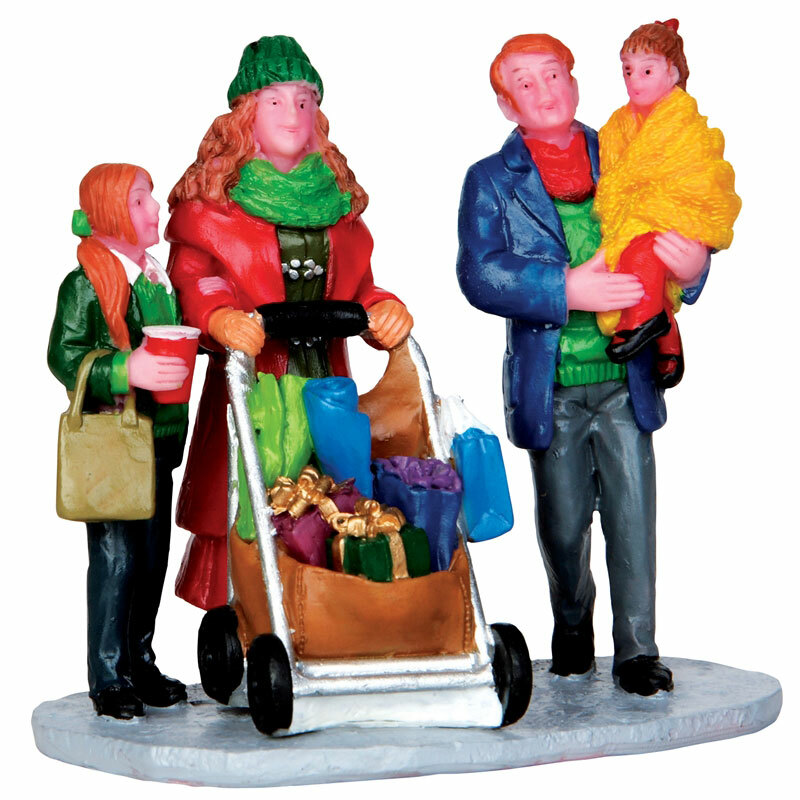 Christmas Shopping With Mom and Dad set comprises of four individual hand painted polyresin figures on a single street base to compliment your seasonal Lemax Village display.